Kyle has been involved in the cattle and auction business his whole life. 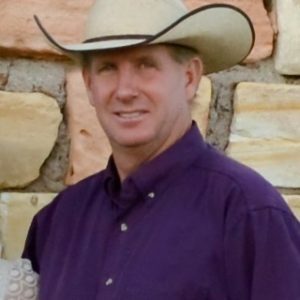 Along with his wife and family, Kyle has been the owner of Oakley Livestock Commission Company for the past 25 years. He is an auctioneer and he has volunteered for several fundraising events. Kyle also runs a large cow/calf and stocker operation in Kansas. Kyle enjoys time with his family that includes Barbara, his wife of 28 years, and their five children Bailey, Brooke, Kenzie, Kade, and Kolt. He enjoys their family vacations and following his children in their sports activities and now their careers as they’ve grown. Kyle also enjoys riding horses, including draft horses. He is a Kansas State University Graduate as well as his three daughters. Kyle loves to follow current events that are happening in America. He finds himself very politically motivated and has a desire to do whatever it takes to protect our industry.